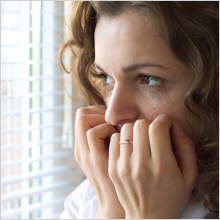 You can overcome your phobias and fears with Linda's help and support. Linda has experience to help you to gain control of your fears and phobias so that become a thing of the past, using Hypnotherapy so call Linda today. There are many other phobias that have not been mentioned below, I have experience of treating many of them. Are you afraid of being out in the open? Do you avoid leaving the house? Do you make excuses to family and friends not to go out? Are you afraid of social situations? Are you always in the kitchen or in a corner at parties or gatherings? Do you make excuses to turn down invitations to go out with friends? Are you afraid of flying? Do you avoid going on family holidays abroad? Do you book flights and then have to cancel them? Have you ever had to get off a plane before it took off? Do you need to be drunk or drugged to fly? Are you afraid of spiders? Do you scream for them to be taken out of the room? Do you always check the bath? Do you avoid the garden shed (dark places). Is your fear of spiders ruining your life? Do you avoid going to the doctors? Do you hate injections? Do you refuse to have injections? Is your fear of having an injection affecting your quality of life? Do you get travel sickness? Do you avoid drinking alcohol? Are you afraid of getting ill? Are you afraid of eating out because you may be sick? Do you hate the smell, sight of another person being sick? Do you suffer from the fear of heights? Do you avoid going to the top of tall buildings, hills, land marks? Are you unable to breath properly,? Do you feel as if your legs are about to give way? Do you feel dizzy, shaky or even sick and need to escape the situation? Does the thought of climbing a ladder scare you? Do you have an irrational fear of snakes? Do you jump at the TV or a picture of a snake? Do you refuse to look in a petshop or refuse your son the pet he wants? Do you jump at the hosepipe, bit of rope in the garden? Do you avoid friends with pet snakes? Are your teeth brown, broken and in need of attention? Are you too frightened to go to the dentist? Would you rather be in pain then go and see a dentist? Do you make excuses like it's too expensive or you just don't have the time? Is your fear of going to the dentist affecting your way of life. If you are ready resolve your phobias, call Linda on 0779 4647442 to ask any further questions or to book an appointment. You can also contact us via e-mail and request a call back using the contact page. *Disclaimer: The results of these services and therapies may vary from person to person.